I am an Inria researcher in the Toccata / VALS team from the LRI (Université Paris Sud). My work lies at the intersection between the domains of computer arithmetic and formal proof. Automated proof of numerical properties. I am interested in methods for automating the verification of numerical programs. In particular, I am developing the Gappa tool and the Coq.Interval library. Gappa is dedicated to the formal proof of small yet complicated functions relying on floating-point arithmetic; such functions can be found in mathematical libraries such as CRlibm. Coq.Interval provides some Coq tactics for formally proving inequalities on real-valued expressions by performing computations. I am also investigating SMT solvers such as Alt-Ergo in order to improve their support for real and floating-point arithmetics. Formal verification of programs. With respect to program proof, I am also participating to bigger projects. For instance, the goal of the FOST project was to achieve a comprehensive formal proof of a scientific computing program that solves the wave equation. The Verasco project aims at developing and formally verifying a C compiler and some static analysis tools. I am also contributing to the development of the Why3 framework for deductive verification of programs and to its interactions with Coq and Gappa. Formalization of arithmetic. The above topics require from proof assistants a good support for real numbers and analysis, and for floating-point arithmetic. As a consequence, I am also part of the Coquelicot and Flocq projects. 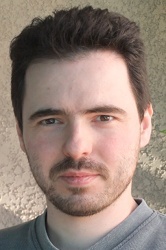 Coquelicot is a conservative extension of Coq's standard library on real numbers, while Flocq is a generic formalization of floating-point arithmetic in Coq. Interval arithmetic. I am also looking at reliable computations outside formal systems, and more precisely at interval arithmetic. For instance, I am one of the developers of a generic interval module for the Boost C++ library. I am also a member of the IEEE 1788 committee for standardizing interval arithmetic and I follow the evolution of the C++ language with respect to support for scientific computations. published by Birkhäuser (2018). Summary. published by ISTE Press - Elsevier (2017). URL. in Informatique Mathématique : une photographie en 2013.
published by Birkhäuser (2010). Summary. DOI. Arithmétique d'intervalles et certification de programmes. PhD thesis (in French) and defense. in Journal of Automated Reasoning (2019, volume 62.2). Paper. DOI. in Journal of Automated Reasoning (2016, volume 57.3). Paper. DOI. in Mathematical Structures in Computer Science (2016, volume 26.7). Paper. DOI. in Mathematics in Computer Science (2015, volume 9.1). Paper. DOI. in Journal of Automated Reasoning (2015, volume 54.2). Paper. DOI. in Computers & Mathematics with Applications (2014, volume 68.3). Paper. DOI. in BIT Numerical Mathematics (2013, volume 53.4). Paper. DOI. in Journal of Automated Reasoning (2013, volume 50.4). Paper. DOI. in Mathematics of Computation (2013, volume 82). Paper. DOI. in Information and Computation (2012, volume 216). Paper. DOI. in Transactions on Computers (2011, volume 60.2). Paper. DOI. in Transactions on Mathematical Software (2010, volume 37.1). Paper. DOI. in BIT Numerical Mathematics (2009, volume 49.2). Paper. DOI. in Transactions on Computers (2008, volume 57.4). Paper. DOI. in Theoretical Informatics and Applications (2007, volume 41.1). Paper. DOI. in Theoretical Computer Science (2006, volume 351). Paper. DOI. for the 9th IJCAR conference (2018, Oxford, United Kingdom). Paper. DOI. for the 29th CAV conference (2017, Heidelberg, Germany). Paper. DOI. for the 9th VSTTE conference (2017, Heidelberg, Germany). Paper. DOI. for the 7th ITP symposium (2016, Nancy, France). Article. DOI. for the 10th iFM symposium (2013, Turku, Finland). Paper. DOI. for the 5th VSTTE conference (2013, Menlo Park, CA, USA). Paper. DOI. for the 21st ARITH symposium (2013, Austin, TX, USA). Paper and talk. DOI. for the 2nd CPP symposium (2012, Kyoto, Japan). Paper. DOI. for the 10th SMT workshop (2012, Manchester, UK). Paper. for the 6th IJCAR symposium (2012, Manchester, UK). Paper. DOI. for the 23th JFLA meeting (2012, Carnac, France). Paper. for the 20th ARITH symposium (2011, Tübingen, Germany). Paper and talk. DOI. for the 1st ITP symposium (2010, Edinburgh, Scotland). Paper. DOI. for the 16th Calculemus symposium (2009, Grand Bend, ON, Canada). Paper and talk. DOI. for the 4th IJCAR symposium (2008, Sidney, Australia). Paper and talk. DOI. for the 8th RNC symposium (2008, Santiago de Compostela, Spain). Paper and talk. for the 12th SCAN symposium (2006, Duisburg, Germany). Talk. for the SAC'06 symposium (2006, Dijon, France). Paper and extended paper. for the 17th IMACS symposium (2005, Paris, France). Paper and talk. for the 17th ARITH symposium (2005, Cape Cod, MA, USA). Paper and talk. DOI. for the 6th RNC symposium (2004, Schloß Dagstuhl, Germany). Paper and talk. for the 5th RNC symposium (2003, Lyon, France). Paper and talk. for the 30th JFLA workshop (2019, Les Rousses, France). Article (in French) and talk. for the tutorials of the 22nd ARITH conference (2015, Lyon, France). Talk. for the 12th SMT workshop (2014, Vienna, Austria). Talk. for MSC (2014, Lyon, France). Talk. for the 5th Coq workshop (2013, Rennes, France). Talk. for the CaCoS workshop (2012, Grenoble, France). Talk. for the 3rd RAIM (2009, Lyon, France). Talk. for the 19th ARITH symposium (2009, Portland, OR, USA). Paper and talk (first part). DOI. for the C++ standardization committee (2009). Technical report. for the C++ standardization committee (2006). Technical report. Gappa: a tool for formally verifying numerical applications. Coq.Interval: tactics for proving inequalities on real-valued expressions in Coq. Flocq: a multi-radix multi-format multi-precision formalization of floating-point arithmetic in Coq. Why3: a software verification platform. Coquelicot: a user-friendly library for real analysis in Coq. Boost.Interval: a generic interval library for C++. Remake: a tiny clone of make with support for dynamic dependencies. Some minor contributions to Why, Frama-C, and Coq. Coquelicot (Digiteo cluster and Île-de-France regional council). Last update: February 11th, 2019.